Government coffers suffered more than 110 billion rupee loss during last couple of years owing to the wasteful activities by 15 public ventures which came under the scrutiny of the parliament watchdog committee – COPE (Committee on Public Enterprises), its chairman Sunil Handunnetti told Parliament yesterday. "Rather than calling it a loss we would prefer to say it is waste of public funds. It has been noticed that the national economy will suffer from these losses that have been made by 15 institutions we have summoned before the COPE from May 01, 2016 to August 31, 2016," Handunnetti said while presenting the Third Report of the COPE to parliament yesterday. "We do not know who would shoulder the burden of loss making Sooriyawewa Cricket Stadium whether it is the Sri Lanka Cricket or Sri Lanka Ports Authority. Hambantota Harbour alone has made a colossal loss of 37,000 million rupees. The Lotus Tower project is also another drain on the economy. Sri Lanka Football Federation has received millions of Euros and dollars and there is no proper accountability in how those monies had been spent," the COPE Chairman said. 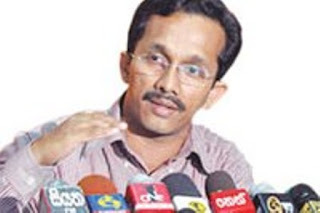 The report tabled by the COPE Chairman says that 21 million rupees of the outstanding 124 million rupees are to be received from the Lanka Sathosa by the Corporative Wholesale Establishment. The amount is to be received by obtaining the share ownership of that institution. The CWE has failed to initiate legal action against persons involved in a financial fraud of Rs 1,321,285. The COPE has found that the Road Development Authority has commenced implementing non-RDA projects which were not existing in the annual action plans. There were 259 projects with an estimated cost of Rs 25,103 million and a physical progress less than 50 per cent as at 31.12.2015 and 206 of those projects were non-RDA projects and their contract value was Rs 17,928 million while the cost incurred on them was Rs 913 million. There were 84 projects of which the estimated cost was Rs 4902 million without any activity being done as at 31.12.2015 and a sum of Rs 2.5 million had been spent one on of those projects while 54 of those 84 projects were related to non RDA roads and their contract value was Rs 2,465 million. The RDA has appointed 54 advisers and 94 public relations officers for the year 2015 without the approval of the Management Services Department. "It was revealed that provisions of the government procurement guidelines had not been complied with in selecting contractors to rehabilitate roads. While the value recommended by the Technical Evaluation Committee in relation to 54 roads was Rs 146,533 million, the value recommended by the procurement committee appointed by the government was Rs 155.79 billion which is Rs 9.2 billion in excess of the value recommended by the former. The COPE has found that former Chief Executive Officer and the former Managing Director of the Sri Lanka Insurance had obtained Rs 165 million and 55 million respectively as their salaries during the period from 2010 to 2015. "The committee was able to uncover that the Sri Lanka Insurance Corporation had made investments amounting to Rs 35,711,339,000 in various institutions," the report says. It says that the State Engineering Corporation had recruited 602 employees without the approval of the Department of Management Services. The corporation had paid Rs 1,353,000 as salaries and Rs 626,000 as overtime allowances to employees who had been released for election work during the run-up to the 2015 election. In the years 2013 and 2014, vehicles and drivers of the corporation had been released to the Housing and Construction Ministry without the approval and Rs 37 million and Rs 42 million had been paid respectively as rental, fuel expenses and drivers’ salaries for the vehicles thus released. The COPE has observed lack of audit on the construction of the Lotus Tower. "Even though the construction of the Lotus Tower had to be commenced on Nov 12, 2012 and completed on May 12, 2015 in 912 days as per the contract agreement dated Jan 03, 2012, only the concrete structure had been completed by the said date. Out of the total contract value of US $ 104.3 million around US$ 38.28 million had been spent by Dec 31, 2015. The TRC has paid Rs 600 million to the Presidential Secretariat for the distribution of ‘sil redi’ among adults. It has spent Rs 2.5 million for the printing of 500,000 dhamma booklets on a request made by the Ministry of Defence and Urban Development. The TRC has purchased physical fitness equipment worth Rs 5,115,465 without calling for bids or appointing a Technical Evaluation Committee. The COPE has found that the Sri Lanka Rupvahini Corporation had telecast all the advertisements with a value of Rs 34,719,750 of one presidential candidate free of charge during the last presidential election. The National Lotteries Board has paid Rs 64,680,000 for displaying hoardings in Nov 2014 without properly depicting advertising purposes through the photographs depicted in them. The COPE has identified that there were irregularities in utilizing 100,400 Euros and 10.2 million US dollars received by the Sri Lanka Football Federation. It has observed that the Employees Trust Fund failed to work as a primary dealer though Rs 200 million has been invested in treasury bonds through other institutions without calling for bids. Presenting the report the COPE Chairman said: There are large number of persons who contributed to submit this report to parliament in time. I thank all members of the committee for their enthusiasm and positive contribution over their political party differences. The service rendered by the Auditor General and his staff is extremely decisive in this regard. Similarly I would like to acknowledge the service of the Secretary of the COPE Secretariat and her staff as well as the officers of the Interpreters’ Office." The 15 institutions that came under the scrutiny of the committee are Corporative Wholesale Establishment, Road Development Authority, Sri Lanka Insurance Corporation, State Engineering Corporation, Telecommunication Regulatory Commission, Sri Lanka Cricket, Sri Lanka Rupavahini Corporation, National Lotteries Board, Ceylon Electricity Board and Sustainable Energy Authority, Sri Lanka Football Federation, Sri Lanka Ayurvedic Medicine Corporation, four Maga Neguma institutions under the Road Development Authority, Sri Lanka Ports Authority, Kurunegala Plantation and Employees’ Trust Fund Board.